Kasargod, in Kerala, is a much underrated travel destination. 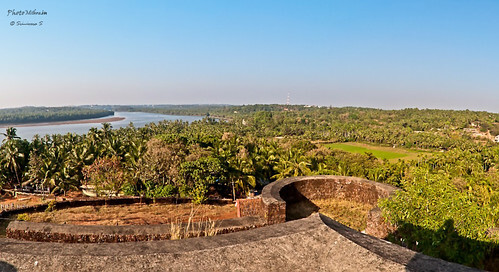 With its serene beaches, lazy back-waters, historic forts, architecture and wonderful people – Kasargod is surely an offbeat travelers delight! 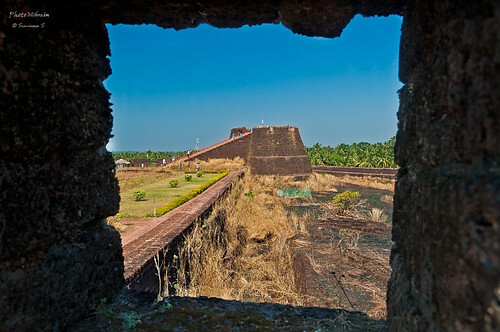 Most of you might already know Bekal fort, the most famous of the places around the Kasargod area. However, the place has much more to offer. Kaartu member Srinivasa writes about Kasargod for our “Its a wide world” series. Read on to find more about the place. The nearest big town is Mangalore in Karnataka. Kasargod is just 55 Kms from Mangalore along NH 66. From Bangalore, it is about 380 KMs. KSRTC has overnight buses to Kasargod (starting from the Mysore road, Satellite bus stand) that takes route 2 mentioned above. Both routes have some bad stretches (Shiradi ghats in route 1 and Madikeri-Sulya stretch in route 2), but route 2 has more probability of being in a good shape than route 1. Winter (Dec, Jan) is a good time for a visit because the weather is pleasant and makes travelling easier. There are plenty of choices of accommodation at all budget levels in any of these towns – Kasargod, Bekal, Kanhangad. Being reasonably big towns, one should not have any problems finding places to eat/stay. As I said before, there are lots of places one can explore depending on one’s taste and interests. This is perhaps the most famous and widely known place in this area. 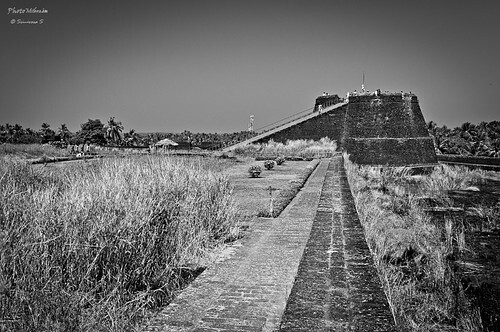 It is the largest fort in Kasargod, Kerala. It rose to fame with some parts of Mani Ratnam’s movie “Bombay” being shot here. It is spread over an area of about 40 acres and is one of the ticketed monuments under ASI. So, it is only open for visitors between 9am and 6pm. 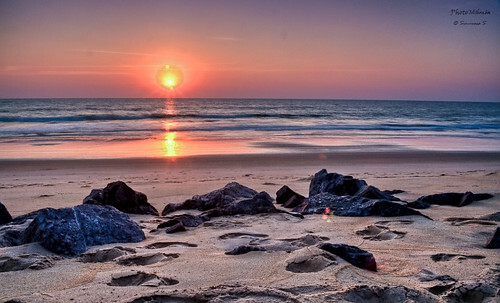 For people who love calm and peace, the relatively unexplored Kappil beach would prove idyllic. 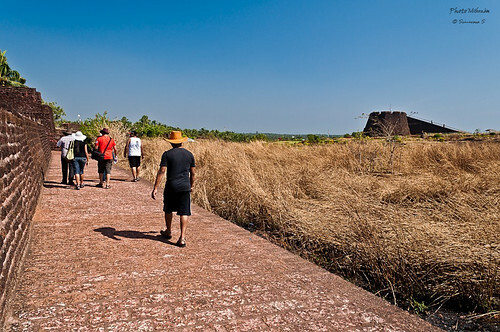 Situated close (~6 KM) to Bekal fort, its ideal to head here after a tiring session of walking the huge area in Bekal fort. One can enjoy a calm sunset, sit down with a book, get lost in thoughts or take that long walk by the beach. 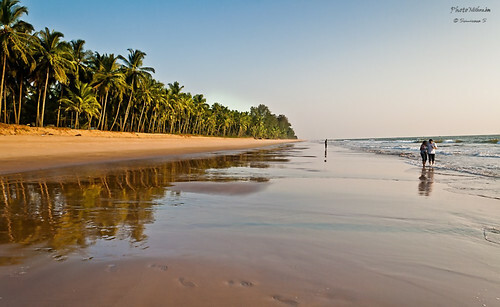 Adrenaline seekers can also hike up a small rise nearby to get panoramic views of the Arabian sea. This is spread over an area of about 7 acres. 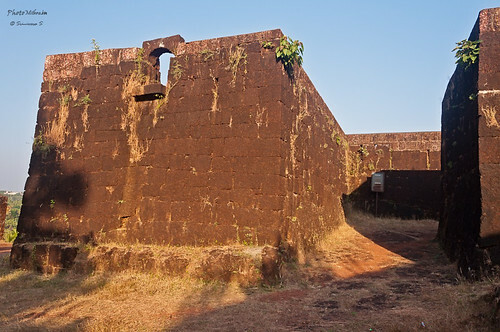 The fort itself is in ruins now. Beside it flows the Payaswini river. Although there isn’t much to see around this place, I like it. It offers plenty of opportunities to capture moody photographs in the twilight time. This is a temple located in the middle of a lake, which makes for a picturesque setting in the wee hours. This is about 12 KMs north of Kasargod town. This is the only lake temple in Kerala and is believed to be the Moolasthana of Ananthapadmanabha Swami. Unfortunately we could not visit this place due to time constraints and differing interests within our travel group. There are lots of other places around the Kasargod area. Do ask local people or hotel staff. The wonderful people there would be more than happy to help out information seeking tourists. Whether its a quick weekend getaway or a more leisurely vacation, Kasargod has something to offer for all kinds of people. Srinivasa S is an avid photographer who loves to travel when he is not busy slogging with his computer at his day job in an IT company. He loves nature and its abundant landscapes and needs no reason to travel. Give him a couple of days off and you will find him getting busy with his DSLR, lenses and backpack. He also writes at www.photomithra.in. Please visit his image gallery here. Copyright: The images and content are owned the author and shall not be reproduced in any form without permission from him.